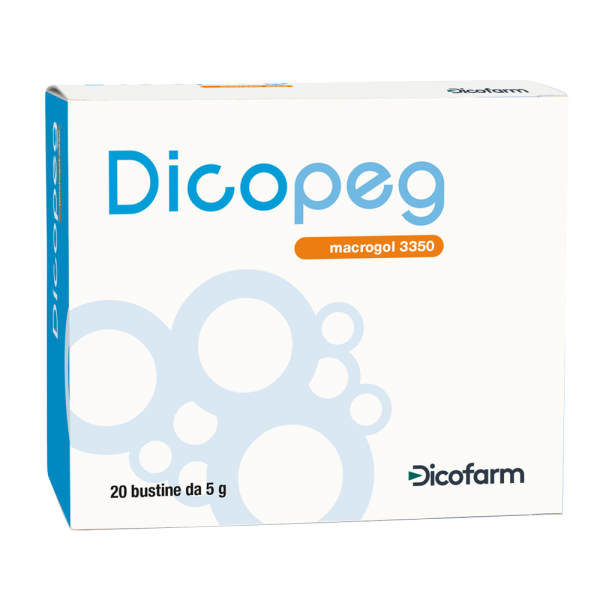 Dicopeg is a medical device with laxative action which naturally balances bowel functions through osmotic mechanisms. It is not absorbed nor fermented in the bowel, it doesn’t irritate the mucosa and it is excreted unmodified with feces. Dicopeg is particularly recommended in case of chronic constipation and in case of occasional bowel dysfunctions. Due to its water affinity, Dicopeg softens feces making evacuation easier. Its efficacy is preserved overtime. Pack size: 20 sachets 5 g each of macrogol 3350. The daily dose can be divided in more than one administration during the day. The dose may be increased or decreased according to the individual response of the patient. It is advisable to follow doctor’s recommendation. For children in pediatric age, use the product only after doctor’s recommendation. 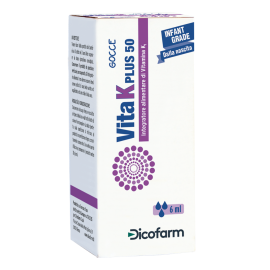 The maximum dose needed not normally exceed the 6 sachets per day. Dissolve one whole sachet content in half glass of still water (about 62,5 ml). Drink the solution thus reconstituted. The daily dose can be divided in more than one administration during the day. 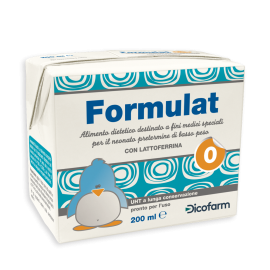 The total daily dose can be prepared in advance and stored covered in refrigerator for a maximum of 24 hours. It’s recommended to consume Dicopeg away from meals. 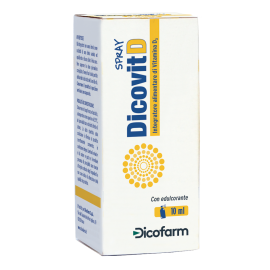 Do not consume Dicopeg in case of hypersensitivity to macrogol, perforation and/or gastrointestinal obstruction, known stomach or intestinal injuries, severe inflammatory conditions of intestinal tract such as Crohn’s disease, ulcerative colitis and toxic megacolon. 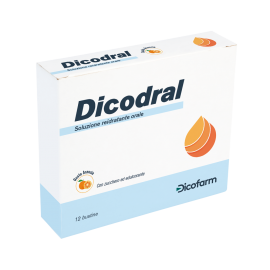 Interactions with drugs have not been detected but it could be appropriate to consume the product at least 2 hours before or after the drug as the osmotic power of macrogol and the induced increased speed of gastrointestinal transit can adversely affect their effectiveness. In case of other ongoing therapies, ask for doctor’s advice before taking Dicopeg. 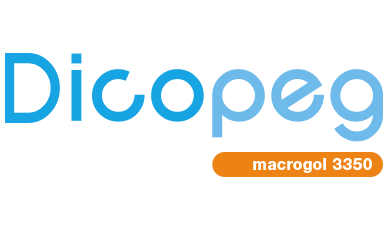 Macrogol 3350. Excipients: silicon dioxide, flavour, sodium saccharine. It does not contain gluten.